Madix understands the needs of sporting goods and athletic apparel stores. A leading innovator in the store fixture industry, Madix has a history of successfully helping sporting goods stores solve their merchandising challenges. Want to enhance your in-store experience? Madix offers unique shopper marketing solutions that draw attention to specific merchandise, grab the customer's attention, and lift sales. Digital and printed signage combined with specialty lighting all work together to complement specific merchandise and create a one-of-a-kind experience that is exclusive to your brand. Having to deal with so many types of merchandise is one of the most difficult challenges that sporting goods retailers must overcome. Wondering how to make merchandise stand out and sell better? Madix offers a variety of specialty shelves and accessories to help improve your bottom line. Utilize sports-related accessories that are specifically designed to fit merchandise that is often oddly shaped for standard displays. 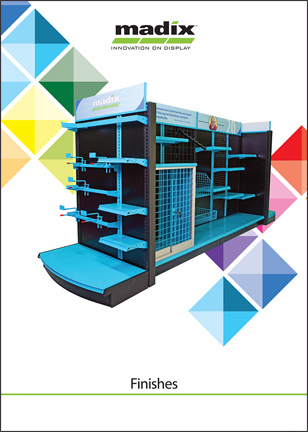 Madix offers display solutions for a variety of sporting goods merchandise, including golf and other game essentials. Custom accessories can also be tailored to fit your specific needs.